As a professional tower painting company, we pride ourselves on doing a thorough job. 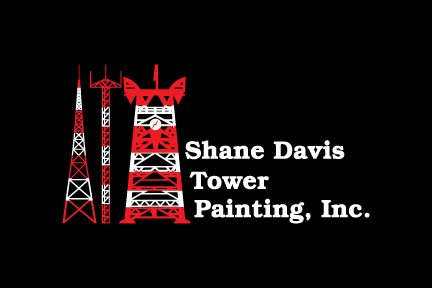 At Shane Davis Tower Painting, professional tower painting is what we do best. This is ultimately because tower painting is the main service we provide and because we are committed to quality workmanship. If you have a tower painting project that needs to get done, we are confident that you will be pleased with the final result if you turn it over to us. We have clients who have taken advantage of our professional tower painting services from all industries, including municipal agencies, the armed forces, religious organizations, and wireless companies. Additionally, we have painted water towers, emission towers, water tanks, radio towers, and many other types of tall structures. For these reasons, we know that we will be able to safely and effectively paint your tower, regardless of how large or small it is or whether it’s located in a rural or urban area. Lead Paint Containment – There is no paint worse for peeling and cracking than lead-based paint, and it poses a significant health threat, as well. If your radio and water towers were previously painted using lead paint, we can remove this material and add new paint products. Sand Blasting & Rust Removal – If your towers have suffered under long-term exposure to the elements, we have the tools to remove rust and sandblast the surface area for a smooth finish and improved appearance overall. Spray Painting – As your tower painting contractor, we typically use high-quality spray paint to paint your towers. The result is both aesthetically pleasing and enduring. As a professional tower painting company, we pride ourselves on doing a thorough and reliable job. This means that prior to painting, we can remove old paint from the tower, sandblast towers that are located in harsh environments, and ensure that the new paint is streak-free. By properly preparing the tower, we ensure a flawless paint job that remains in-tact for as long as possible. In addition to professional tower painting, we also offer painting of city building rooftops, concrete towers, and national radio towers. We aren’t confined to one local or regional location, but can travel anywhere in the USA. This convenient solution for your professional tower painting needs makes us your go-to choice. When you work with our professional tower painting company, you can rest assured that your project will be completed in a timely and efficient manner and with the results you expect and deserve. If you would like to receive a quote on painting, or if you would like to know more about our effective processes at Shane Davis Tower Painting, contact us today.